Will chop hard and soft nuts into small pieces. Measures, 7 1/4 inch/18 1/2cm. Capacity, 1 1/4 cups/10 ounce. The upper compartment holds the nuts. The chopped pieces are clearly measured in the lower glass compartment. Stainless steel blades. Manual nut grinder handle works for both right and left handed users. Uses: Chopping onions, egg salad, tuna fish, peppers, cabbage, collard greens, strawberries etc. 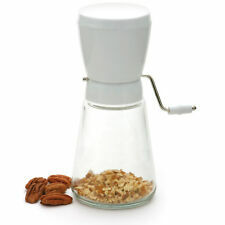 Easily chop nuts into small pieces with this RSVP Endurance nutgrinder. With a stainless steel hopper and a manual hand crank, it features a 1.25 cup clear jar. The convenient sliding door makes it easy to clean. Use this to make both hard and soft nuts into small enough pieces that are perfect for baking. 6-1/2" L x 5" W x 3" H, with a 1.25 cup capacity. Free pollen scraper included. Material: High Grade CNC Machined Aircraft Grade Aluminum. 4 colors: Silver, Blue, Red, Black. Features a heat-resistant nylon head that is safe up to 400 degrees Fahrenheit. Hand Tools And Tool Accessories. Maximum Temperature: 400 deg. Nylon head is heat safe to 400 degrees F and safe for use on non-stick surfaces. 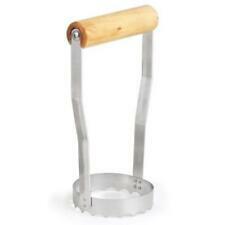 NEW Stainless Steel Grip-EZ Chopper / Scraper Mincer Pastry Dough Bread Tool Mincer Pastry Dough Bread Tool. A quality product from Norpro. pasta and pastry dough. scrapper arrived quickly, works great. Window can be opened. Separate pollen chamber. color: Blue. Material: High Grade CNC Machined Aircraft Grade Aluminum. 6 Light Changing LED for that Special Grinding Experience. Color: Black. Magnetic Enclosure. Razor sharp diamond teeth. For traditional reasons, Westmark produces most of their products in Elspe, Germany. For More Westmark Products~! MATERIAL: Each product is made using high quality stainless steel blades with polypropylene handles. Simple and convenient one-touch operation. Safety features include a safe-locking lid and non-skid rubber feet. Detachable chopping cup. Safe-locking lid. New Mini Slicer Pull String Manual Food Processor Chopper Mincer Blender to Chop Fruits, Vegetabels, Nuts, Herbs, Onions, Garlics for Salsa, Salad, Pesto, Coleslaw, Puree. Chopper, onion chopper, garlic chopper, herb chopper or as a general-purpose manual food chopper. 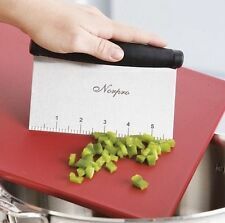 Reinhoffer 9 inch Double Mezzaluna Chopper. Condition is New. Shipped with USPS Priority Mail. 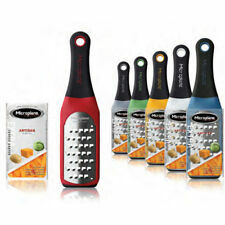 You can dice puree or chop all kinds of foods. KITCHEN FOOD CHOPPER. CRANK CHOP. AS SEEN ON TV. NEW in Factory Sealed Box. It’s the solution to tear-free onion chopping! It’s equipped with a unique stainless steel blade that rotates with each press of the plunger for consistent results. The more you press the plunger, the finer the chop. Kitchen accessory for chopping and blending. Quick Chop and Whip. Soft-grip lid for comfort. Features 5 stainless steel blades for quick mincing. Mince parsley, chives, dill, mint, cilantro, sage and more with this handheld, lightweight herb mill. Designed for both left and right hand users with a reversible handle. The aroma of fresh herbs with permeate your kitchen and dining table. Breeze through food preparation tasks with the beautifully designed Chef'n SaladShears Lettuce Chopper. Cut lettuce for salads and sandwiches quickly and easily with this lettuce chopper. Cut and shear lettuce evenly and easily with the scissor-like design. Freshly chop nuts, chocolate chunks, pretzels or toffee for salads and sundaes, or in cookies, brownies and more. Easily switch between a fine and coarse chop with the Progressive Nut Chopper. The Original ChopStir was born from an aerospace engineer’s love for Mexican food and his quest for cooking utensils that would chop meat efficiently while it cooked. Now it’s a breeze to cook hamburger and other chopped meats! Safe for use in non-stick cookware, its patented scratch-free nylon blades easily cut foods into smaller, equally sized pieces, right in the pan, so it cooks evenly and in less time. Perfect for cooking and chopping fresh or partially thawed ground meats, cooked potatoes or hard-boiled eggs for salad, mashing fruit into beverages, transforming frozen juice concentrate into juice right in the pitcher in seconds, and more. There are no sharp edges or moving parts so it’s safe and easy for anyone to use, even kids. Simply place fresh or partially thawed ground meat in a pan over medium-high heat. Blades are wrapped in cardboard. Excellent condition, great for salsa, guacamole and any chopping. With its integral rounded handle and straight-sided rectangular blade, this scraper is the ideal tool to chop and divide cookie dough and pastry dough for rolls and loaves. Also ideal for cinnamon rolls, jelly rolls, brownies, rice crispy treats, dessert bars and more! EASY TO MINCE AND CHOP HERBS AND VEGETABLES. FINE-EDGE STAINLESS STEEL CUTLERY BLADE. Includes cover for blade protection and storage. Comfortable grip, heavy duty, stainless steel double bladed with beveled edges. Easy to use! Simply place your desired topping into the hopper, attach the lid and turn the handle; your toppings are conveniently collected in the glass base. Or top your favorite ice cream with chopped graham crackers, sandwich cookies or your favorite cereal! Never been out of the box. Black&Decker HC20 White. Handy Chopper Mincer/Chopper. Manual Food Chopper-LOVKITCHEN Compact and Powerful Hand Held Vegetable Chopper/Mincer/Blender to Chop Fruits/Vegetables/Nuts/Herbs/Onions/Garlics for Salsa,Salad,Pesto,Coleslaw,Puree. Super convenient- No batteries or electricity is required, so it is great for the camping. Covered with glitter! Color: Pink. Keep in mind Separate pollen chamber. 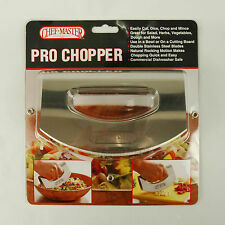 Pampered Chef Most Popular Tool - FOOD CHOPPER - Chops, Dices, Minces w/o Tears! Pampered Chef's. FOOD CHOPPER. Rotating multi-directional blade ensures a uniform cut. Item # 2585. 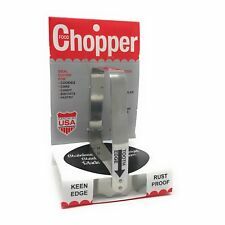 Kwik Kut #60 Tooth Edged (Serrated) Food Chopper, Food Grade Stainless Steel Brand New Item - Proudly Made in the USA! Kwik Kut's Serrated Food Chopper for mincing and chopping nuts, fruits and vegetables, tenderizing meat, cutting cookies, biscuits, pastries and more Proudly made in America; stainless steel chopping ring measures 2.875-inch x . Just add your herbs to the grinder and start your never ending supplies of herbs that you can add to your old spice container as they're are ready labeled with your favorite herb in mind. There's nothing better than cooking with fresh herbs and with this superior grinder, your ease of grinding these herbs are over with our 54 razor sharp diamond shaped teeth. 1 x Vegetable Food Chopper. When you use this machine to cut the tough food. It combine with blades, storage bowl, lid with hand lever, and it's easy to clean. We are sure that we will give you the best solution in every single trouble that you want us to resolve. Box may show minor signs of wear due to storage. -Easily retrieve cut contents. -Mincing grid. -Removable cleaning grid. The Pampered Chef Food Holder #1124 in black. This is new and was never used. See all pics. I combine shipping. The reinforced plastic lid on the Progressive onion chopper includes a dedicated section for chopping garlic. Cleaning is simple with the integrated lid grid that removes excess food when pulled. The base container features a non-skid ring, keeping it secure during chopping. No more excuses for teary eyes when chopping an onion, just whip out the Saken chopper to take care of it in a jiffy. SAKEN PULL CHOPPER: You'll find yourself reaching for this food chopper over and over again. HIC's Straight Edge Food Chopper quickly minces and chops ingredients. Used by many generations, this vintage kitchenware is a great addition to cutlery and chef knives to save time during food preparation. No batteries or electric required. Great for cutting fruits and vegetables, small salads, tuna, hard boiled eggs, onions or making quick healthy snacks. For best results, simply use an up-and-down motion until desired texture is achieved. Sturdy and durable hand chopper. Hand wash in warm soapy water. Glass base is dishwasher safe.